Welcome Bonus: Three stage welcome bonus with 100% match on first deposit up to $/€300, 25% match on second deposit up to $/€800, and 50% match on third deposit up to $/€400 for a total possible welcome bonus of $/€1500! Grand Ivy Casino has only been in operation for three years but they have acquired quite a following. Their stated goal has always been to be one of the best choices of all online casinos. They have attained this status through a combination of world class games and top of the line service. The casino impresses from the very first with a $/€1500 welcome bonus (plus lots of bonus spins) spread out over the first three deposits. They even throw in 500 loyalty points just for showing up! Grand Ivy Casino has games from best-in-class developers such as Amaya, NYX, NetEnt, and Leander. Grand Ivy members are always playing the top games available whether their interest is slots, poker, live casino games, roulette, baccarat, or blackjack. Although Grand Ivy Casino caters to its share of “high rollers,” you do not need to one of the rich and famous to receive great promotions and seven day a week, twenty-four hour a day attention with these folks. Great service, great promotions, and the best games are simply what you always get at Grand Ivy Casino! Grand Ivy Casino starts strong with a great welcome bonus and continues to impress with their standard promotions. It only gets better when players gain loyalty points and move up the VIP ladder. It might seem difficult to believe, but Grand Ivy Casino really does offer a total welcome bonus equal to $/€1500. Here is the breakdown. Additional benefits of the welcome bonus are 500 loyalty points for new players and these bonus spins. The Grand Ivy Tour is a chance to win a Mercedes-Benz. Every 1000 Ivy points is worth a ticket. Play to your heart’s content and just maybe your name will come up for the next Mercedes-Benz! The VIP levels at Grand Ivy Casino are Gold, Platinum, Silver and Centurion. The benefits keep going up as you play and rise through the VIP levels. The total list of benefits is this. Your money at Grand Ivy Casino goes into one of two accounts. Whatever you deposit goes to your regular account, the one you can withdraw money from. But, bonus money goes into a bonus account. In order for any bonus money or winnings from bonus money to arrive in your regular account you will need to wager it for a while. The reason is simple, no online casino wants folks depositing money, getting a bonus, and then withdrawing their deposit and their bonus! The number of times that you need to wager or the amount that you need to wager in order to “free up” you bonus winnings will depend on the casino. At Grand Casino Ivy it is thirty-five times the amount of the bonus amount that needs to be wagered. When a player wagers that much, bonus winnings and residual any remaining bonus money are then automatically transferred to the player’s regular account. It is important to remember that not all games count toward the 35x wagering requirement. The majority of slots do but not all of them. A few count at 20% of wagering and a couple of dozen do not count at all towards the wagering requirement. Check the Promotional Terms and Conditions Page to see a full list. While Keno and scratch games count 100% towards the play-through requirement, none of the table games or live casino games do. For an example, the first deposit gives a player a 100% match of up to $/€300. In order to have this money arrive in your regular account, you will need to wager 35 x $/€300 which is $/€10,500. When this has been accomplished playing the correct games, any winnings and residual bonus will move to your regular account automatically. The Grand Casino Ivy online casino minimum deposit is $/€20. Deposit methods are numerous and include MasterCard and VISA along with Skrill, Neteller, Bank Wire, PayPal, Paysafe Card, Klarna, and more. Sign up and registration is fast at Grand Ivy Casino, only requiring minutes of your time. As with all online casinos, players must use accounts that are in their own names. And, Grand Casino Ivy makes clear in their Terms and Conditions that players may not move money back and forth among accounts in their network. And, they emphasize that money is deposited to play in their online casino. Anyone who is making deposits and withdrawals without doing any actual gambling will have their account closed, their money refunded, and any banking fees or other costs to the casino deducted! This online casino has great encryption and security but, as they state, they are not a bank and your money is not insured against loss as it would be, for example in the USA with Federal Deposit Insurance. A major issue with Grand Ivy Casino in underage gambling so the casino is very fussy about having proof that a player is at least 18 years of age or the age of legal gambling in their legal jurisdiction and that they live at the address they give the casino. And, finally, if these folks catch even a vague scent of illegal funds being transferred, all bets are off, so to speak. 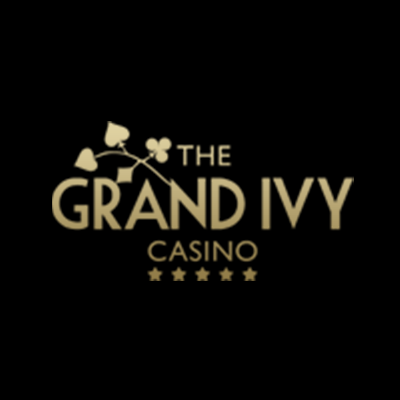 To get paid for your winnings at Grand Ivy Casino you can use the same method as for your deposit. The first withdrawal may take a little longer if the casino needs proof of ownership of the account used for your withdrawal, your age, address, or other issues. Once these are accomplished and on all subsequent withdrawals, things at Grand Casino Ivy move quickly and smoothly. The minimum withdrawal at Grand Casino Ivy is that same as the minimum deposit, $/€20. If you have the good fortune to win $/€100,000 or more they “reserve the right” according to their Terms and Conditions to make payments without interest at the rate of $/€10,000 a month until the winnings have all been paid. Although this is done for them and not for you and may be frustrating, at least you will not be tempted to spend all of your money at once! And, one last point. The maximum you can win at Grand Casino Ivy is $/€250,000 no matter how high your wager or how high the progressive jackpot that you win. You have perhaps been wondering when we would get to the games. After all, the games are why we come to the online casino. Here is where Grand Casino Ivy really shines. They use top of the line developers and their games are exciting, enjoyable, and memorable. All gaming is fair. Grand Casino Ivy offers hundreds of the best slots from traditional favourites to the newest, fastest, and most exciting. Play standard “fruit” slots or games with intricate themes. The jackpots are great and total of available jackpots from all games typically runs around $/€13 million! For the best in baccarat, roulette, poker, or blackjack you need to go no farther than the online “tables” at Grand Casino Ivy. Their menu lists table games and also lists blackjack, roulette, and poker separately so you may wish to browse a little before picking a game. Many of us love the convenience of online casino play from home or on the go but crave the action of a real live game. Grand Casino Ivy has the answer with their live table games. Play the games at Grand Casino Ivy anywhere that you have an internet connection for your mobile device. Their app works for Android, IOS, and Windows operating systems. Although not all games have been developed for mobile, Grand Casino Ivy has a huge selection of games available for mobile. Grand Casino Ivy is a brand. It is managed by the White Hat Gaming Limited company. These folks have their office in Malta, 85 St John Street, Valletta, VLT1165. Their registration number in Malta is C73232. In Great Britain the company is regulated and licensed by the Gambling Commission of Great Britain under licence number 000-052894-R-329546-00. In Sweden they are licensed and regulated by the Swedish Gambling Authority, Spelinspektionen. That number is 18Li7478. 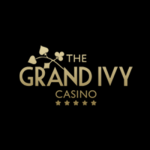 Grand Casino Ivy has a high level of encryption and is safe place for your money as you gamble and safe from having your personal data stolen as well. Outstanding customer support is one of the main attractions at Grand Casino Ivy. Their live chat function is available twenty-four hours a day and seven days and week and if you prefer emails, that is available as well. Their “contact us” page has an automated button for resetting forgotten passwords and advice for getting accounts verified. We said at the start that Grand Casino Ivy strives to be a top notch online casino with excellent games and excellent service. We think that they have largely succeeded. This is an online casino with a lot of great games, especially new ones. Their mobile app works on all common operating systems as well. Give them a try.